Like everyone else, Christians can go through phases of weak or barely existing faith. This can result from losing a loved one, experiencing a deeply traumatic event, or simply getting bored with the Christian faith. Whatever the cause, it’s important to remember that God never gives up on us. It’s always possible to come back to Him. Reviving your faith may mean making some major changes to your life and your worship habits. The process may not be easy. But if you truly want to renew your faith in God, a combination of reaching out and relying on Him will ultimately restore you. As controversial as it may sound, nowhere is it written that you must attend church every week. You may be out of the habit or lack the motivation to physically show up every Sunday morning. That doesn’t mean your only avenue for Bible study is cut off, however. 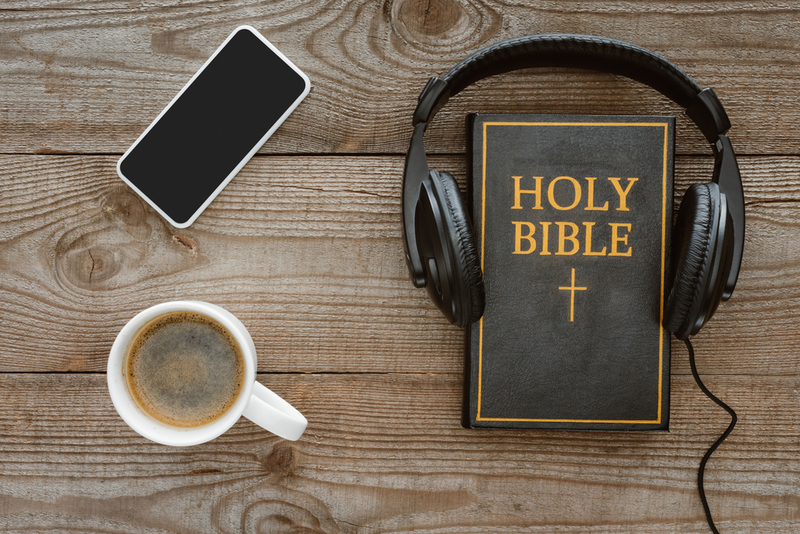 Recorded or live-streamed sermons are often available online for you to listen to at your convenience. Keep yourself involved and interested in the word of God through quality teaching. Who knows? This might give you the motivation to attend a service. Sometimes, the best thing you can do for yourself is to focus on someone else for a while. Find a volunteer opportunity through your church, a local food bank, or even an animal shelter. Find ways to dedicate your time to helping others. Studies show that leaving your home and working regularly improves your mental health, and a better mental state can make you more receptive to what God might be saying to you. Sometimes your struggle may not be with God, but with your church. Attend a few services at another location, perhaps even a different denomination, and see how it affects your relationship with Christ. Are your questions being addressed? How does a different style affect your experience and thoughts? This can be difficult for those of us who were raised believing our denomination or our church specifically was the only source of truth. In reality, God speaks to everyone in different ways, and any church that follows the Bible ultimately follows God. Don’t be afraid to keep looking for a church that loves the Lord and helps you renew your faith. Whether online or in a physical meeting place, find other Christians to study the Bible together or even just hanging out. Develop meaningful relationships with other believers and, if you feel safe with them, share your thoughts about wanting to renew your faith. A truly supportive group will stand beside you and support you during this time of soul-searching and contemplation. Very few of us will have a Damascus road moment and come to Jesus in the blink of an eye. The process may take a long time and be less than pleasant. But the peace of renewing your faith is more than worth the troubles you will encounter along the way. Be patient, and trust that God will make everything right in His time. Connect with us to meet other believers and learn more about renewing your faith.